Drowsy drivers are causing more vehicle crashes in the U.S. than previously estimated, according to a new AAA study. An analysis of dash-cam video recordings of nearly 3,600 hundred drivers over a period of several months allowed researchers to analyze each driver’s face during the three minutes before the crash. During this time, participating drivers were involved in 700 hundred accidents. Based on the percentage of time the person’s eyes were closed in the moments leading up the crash, the researchers found that 9.5 percent of all crashes involved tired drivers. Previous federal estimates had indicated that drowsiness is a factor in only one to two percent of crashes. Videos released by AAA show drivers who nodded off for a few seconds and veered into oncoming traffic, drifted out of lane, or ran off the road. 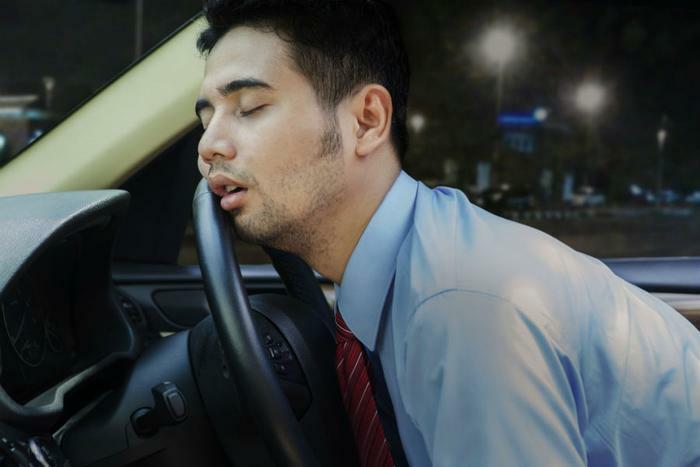 Drowsiness impairs driving performance and reaction time, which can heighten the risk of a serious accident, says Mike Sample, lead driving safety expert and technical consultant at Liberty Mutual Insurance. “When our brains are tired, our attention, judgment and ability to act are greatly impacted, which has the potential for disaster on the road, particularly if there’s inclement weather or a critical situation requiring quick response,” Sample told ConsumerAffairs. The Centers for Disease Control and Prevention estimates that 35 percent of U.S. drivers sleep less than the recommended minimum of seven hours daily. Missing a few hours of sleep may not seem like a major issue, but missing two to three hours of sleep can more than quadruple your risk for a crash, which is comparable to crash rates for driving drunk. “If you notice any of these signs while driving, you should get off the road and take a power nap, drink some caffeine (although you shouldn't rely on caffeine for too long), do some jumping jacks in a parking lot, or let someone else drive,” Sample said. Prioritizing sleep is especially important if you’ll be hitting the road for a long drive. Aim to get consistently good sleep for several days before a long road trip, and consider driving with a partner.